Once you select the tutorial you would like to start from "My Tutorials", you will be taken to the Ripple Online Player. The first screen you will see is the Tutorial Home Page inside the Player. 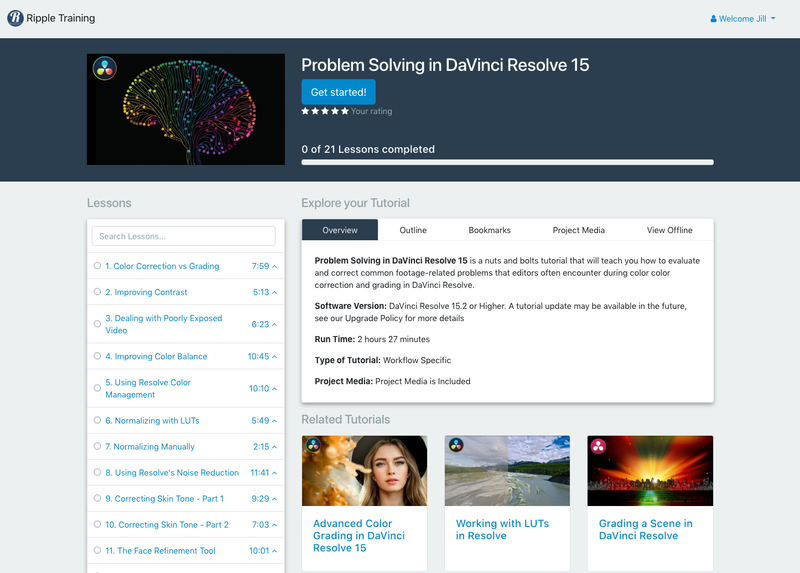 This is where you will access the lessons, the outline, bookmarks, project media and downloadable lessons for offline viewing.